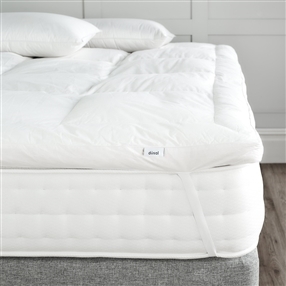 Our range of king size mattress toppers give you the choice between natural or synthetic fillings. 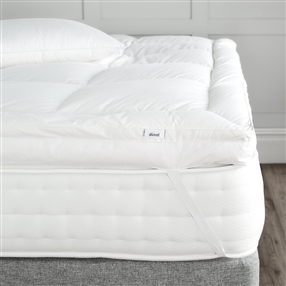 All our products are Nomite® and Downafresh® certified and made in the UK. 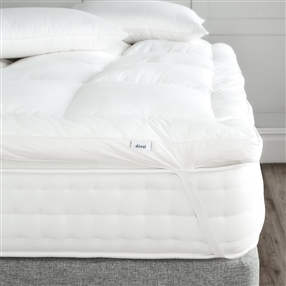 Once fitted to your bed the mattress topper will add an extra layer of dreamy comfort thanks to the deep filling and cassette construction.